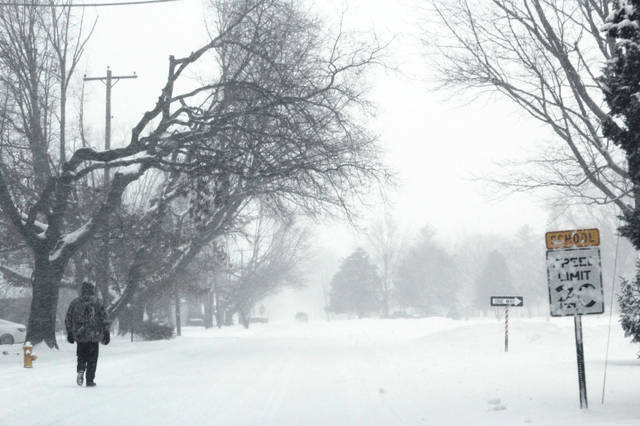 Brookside Drive in Swanton was snow covered Saturday during the winter storm. The first major winter storm of the season hit Fulton County over the weekend, leaving as much as 10 inches of snow in its wake. It was quickly followed by a shot of cold, arctic air. It was upgraded to a Winter Storm Warning on Friday. Fulton County had an extended period under a Level 1 Snow Emergency Saturday and went to a Level 2 Snow Emergency late in the day. Travel was hazardous, especially on back roads that were covered not only by falling snow, but blowing and drifting snow as well. With the combined effort of area road crews and the sun, the level went back to 1 on Sunday morning.